Advantages: Completes the examination of Hornet Operations during OIF. 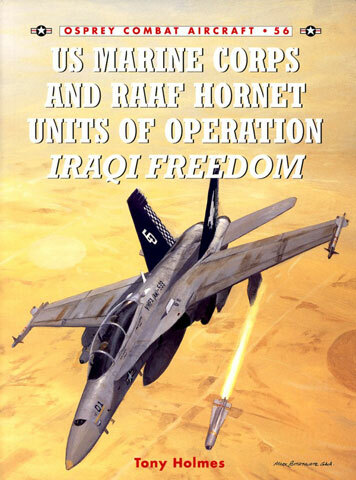 After a long wait, those interested in the air war over Iraq are finally treated to the third volume in the Osprey OIF Hornet Trilogy. 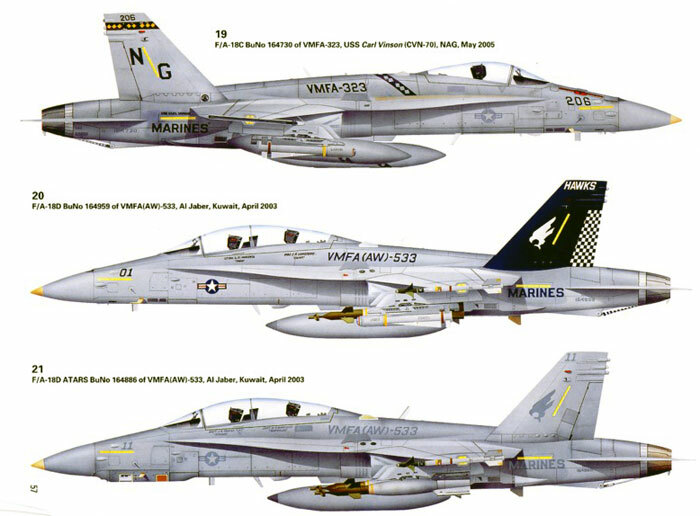 Tony Holmes has followed his excellent volumes on US Navy Hornets fighting the Southern and Mediterranean wars and Tomcat Units in OIF with a new book covering US Marine and RAAF Hornet units. 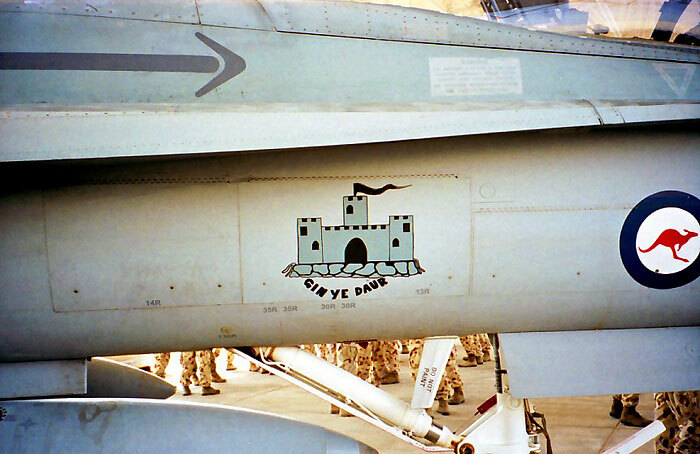 The principal focus of this volume is Hornet operations in support of the Marine advance on Baghdad as Marine Aircraft Group 11 with no less than five F/A-18C and D squadrons deployed to Al Jaber, Kuwait. 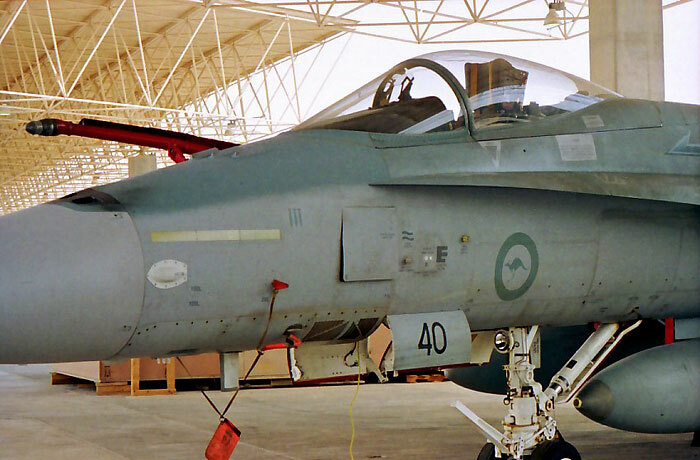 However as the title indicates, Holmes has also included a chapter on the exploits of 75SQN RAAF, the sole coalition operator of the F/A-18 in OIF after Spanish plans to also deploy an F/A-18 squadron come to naught. Put in context of the Marine effort during Desert Storm, OIF represented a smaller deployment for MAG-11 with two fewer squadrons deployed. However the intervening years have seen the Hornets armoury considerable expanded and therefore their punch was much greater. 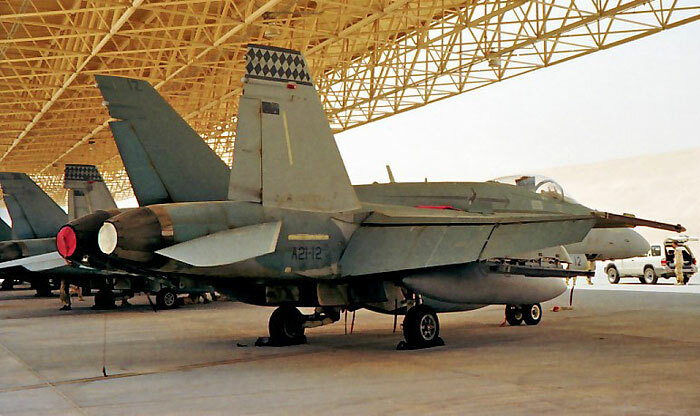 Given the concentration of Marine airpower within MAG-11 it is not surprising that following an introductory section covering Marine Hornet ops in the theatre post Desert Storm the bulk of the book is devoted to the operations of the five units of MAG-11. However there were two carrier based Marine squadrons in the war as well and the Chapter “From the Sea” addresses both VMFA-323 operating in the South and VMFA-115 operating from the Med primarily contributing to the Northern War. 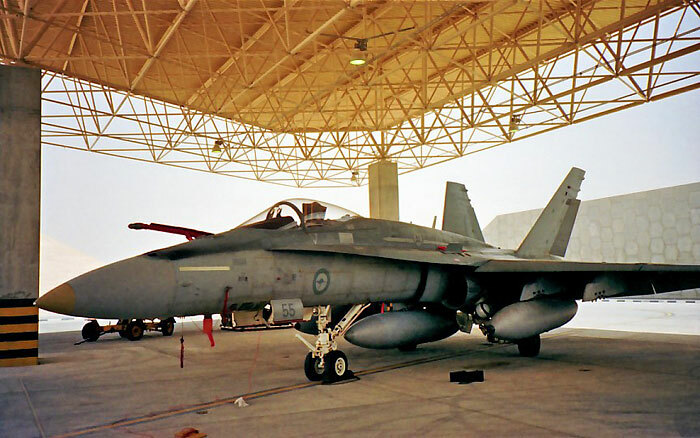 The final chapter devoted to Marine Hornets, “Ongoing Ops” of course covers the commitment of units supporting security operations from both ashore at Al Assad, a former Iraqi Air Force Base captured in 2003 by the Australian Special Air Service Regiment (SASR) and embarked with a variety of Carrier Air Wings. Perhaps for me the most interesting chapter is “Aussie Hornets”. In this chapter Holmes provides a detailed and generally very accurate account of 75SQN in OIF. Whilst only one squadron seems a small contribution, it represents a third of the RAAF’s tactical fighter force and their quality performance impressed their American colleagues greatly. 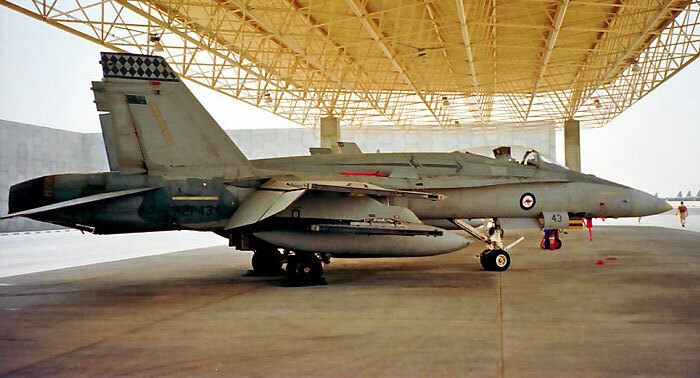 Holmes spent a lot of time collecting material and was able to interview a number of RAAF aircrew who flew in the Gulf. 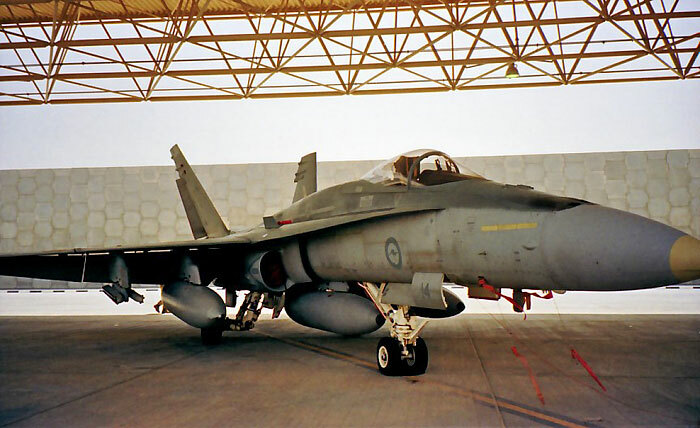 Therefore we are treated in this chapter as always in Combat Aircraft Volumes with excellent first person accounts of RAAF Hornet missions. Unusually for an Osprey Combat Aircraft volume there is not an appendix summarising such information as the units which have operated the Hornet, their BuNos or serial numbers. 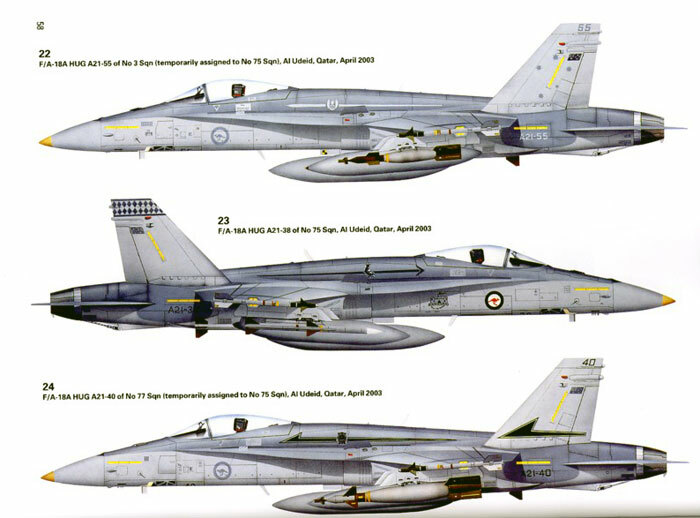 We do however get 24 colour profiles of Hornets from all Marine units and the three RAAF Squadrons that contributed aircraft to 75SQN. 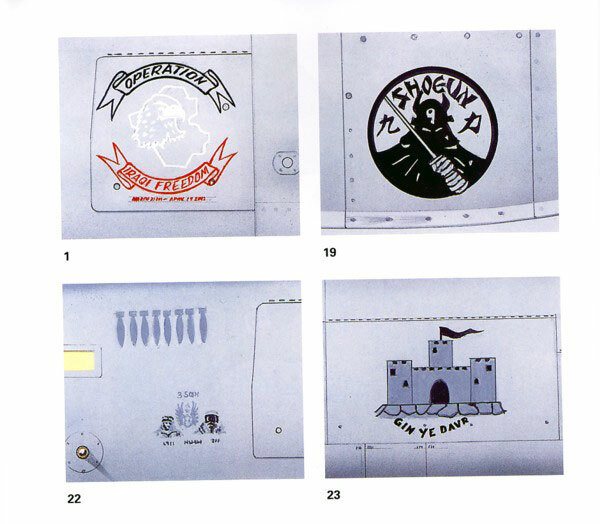 These are supported by scrap views highlighting tail art and mission log details as well as the only two pieces nose art that graced the RAAF Hornets. Modellers are well served with the photographs and aircraft details which would support an accurate model of an OIF Hornet. The captions also contain a wealth of useful notes, including discussion of various ordnance loadouts carried by different squadrons, always useful to finish off an accurate replica. The majority of included photographs are small, but in common with many of the volumes on recent US subjects, includes a generous amount of colour. The rarity of the photographs particularly of RAAF Hornets over Iraq, many taken by serving members in theatre is itself a reason to purchase this book. Yet again Osprey has published an excellent volume on a topic of wide interest.